Guwahati: Journalists’ Forum Assam (JFA) expresses concern that the Pakistan government in Islamabad has issued indirect threats to a senior scribe for his report published in Dawn. 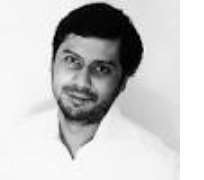 The northeast India based scribes’ forum argues that the Nawaz Sharif government should respect the freedom of Pakistani journalist Cyril Almeida who reported about the ongoing rift between the civilian government and the Pakistan’ armed forces in the backdrop of Indo-Pakistan conflict. It may be mentioned the Islamabad regime got angry over Almeida’s report titled ‘Act against militants or face international isolation, civilians tell military (www.dawn.com/news/1288350/exclusive-act-against-militants-or-face-international-isolation-civilians-tell-military)’ and put him on an exit control list meaning Almeida can be stopped from leaving the country. “I am told and have been informed and have been shown evidence that I am on the Exit Control List,” twitted Almeida recently. He however clarified that he loves his country very much. The exclusive report was published a week after the Indian armed forces conducted a surgical strike on terrorist camps inside Pakistan occupied Kashmir. Carried out on 29 September, the unique strike was in revenge against the 18 September terror attack in Uri of J&K by the Pakistan based militants killing 19 Indian soldiers. Later the Pakistan government issued a statement claiming the news report ‘was clearly violative of universally acknowledged principles of reporting on national security issues and has risked the vital state interests through inclusion of inaccurate and misleading contents’. Prior to it, Prime Minister Nawaz Sharif had an exhausted discussion with the country’s army chief General Raheel Sharif, ISI chief Lieutenant General Rizwan Akhtar, interior minister Nisar Ali Khan and Punjab chief minister Shahbaz Sharif. The JFA pointed out that the Pakistan government should respect the scribe’s right to report in the recognized media outlets and also urged both New Delhi and Islamabad regimes to deal with the situation affectively to prevent further escalating the violence in the border.